A friend has writen to me asking me to recommend a good general introduction to Tibetan Buddhist practice particularly in the Kagyu tradition. I've read a lot of stuff but can't think of anything that might fit bit the bill. This is someone who is not a Buddhist (although they have done a mindfulness course). Anyone like to help me out with some suggestion? i would recommend Lama Zopa Rinpoche's '' how to practice Dharma - teaching on the eight worldly dharmas '' this is not a kagyu book as you know but i think it is a very important and one of a kind work on buddhist psychology and the core of buddhist mind training practice, even though its not lojong. i would cover this buddhist psychology and mind training aspect of mahayana before introducing vajrayana. the other book would maybe be sun of wisdom by khenpo tsultrim gyamtso. some middle way text. It's not a practice book, but as a general introduction I'd recommend Dr. Reginald Rays' "Indestructible Truth" and "Secret of the Vajra World". 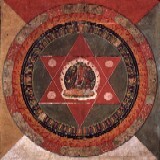 He wrote them as a college level text for and introductory course in Tibetan Buddhism. Dr. Ray was the senior meditation instructor for Trungpa's organization so they don't read like a college text. They read like they were written by a practitioner. There is absolutely no Trungpa 'spin' on the Dharma at all though. He gets everything right, and is a good writer as well. Once you've got a good general ed type knowledge then you can get specific instructions on beginner's practice. Or you can cut to the chase and sign up with Dzogchen Community, if you're so disposed. I'm not, but that's just me. Mingyur Rinpoche's book 'The joy of living' is very good for beginners. I would say if your friend wants an outline of what the Kagyu system is about then "wild awakening" by Dzogchen Ponlop is very good. Half the book is The mahamudra aproach especially in Karma Kagyu then the other Half is the Dzogchen approach. Then It would be a very good idea for them to read the forward and ending discussion of the translation "rain of wisdom" by the Nalanda Translation Committee and Trungpa. This will cover both the technical steps and basic overview of the Kagyu schools in general, by reading Ponlop Rinpoches outline, and by reading the Rain of Wisdom forward / end section it will cover a lot of important specifics of devotion and the kagyu view on that. As mentioned earlier Ponlop Rinpoche is always worth reading as is Tai Situ Rinpoche. I think Reginald Ray's 2 books would fit the bill nicely. Many of the books I would've suggested have already been mentioned. The only ones I would add are Khenpo Karthar Rinpoche's Dharma Paths and Kyabjé Bokar Rinpoche's Meditation: Advice to Beginners. Really anything written by Bokar Rinpoche is taught in such a way that it's accessible to everyone from the total beginner to the most seasoned practitioner. I found Gampopa's "Jewel Ornament of Liberation" to be a good introductory text for those wanting to acquaint themselves with the foundations of Kagyu practice without the introductory preamble. dharmagoat wrote: I found Gampopa's "Jewel Ornament of Liberation" to be a good introductory text for those wanting to acquaint themselves with the foundations of Kagyu practice without the introductory preamble. There is a great commentary by Thrangu Rinpoche. 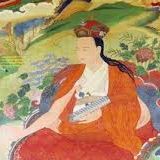 What's a good book on the practices of the Drukpa lineage? This one here. The bible of Kagyu practice.